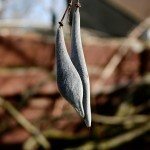 Can I prune back my wisteria now? I live in Harrisburg, PA. 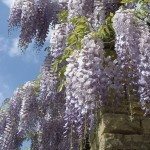 I never trimmed my wisteria during the winter (this is my first wisteria and I bought it last spring/summer). Right now there are dead wispy limbs all over the place. Wasn't sure if I could trim those off. I see no buds as of yet (I know it's early), but I don't want to take a chance in ruining it. Any advice would be most appreciated! Thanks so much!